I remember that the name of Alexander the Great’s mother was Olympias, but I do not remember the connection between this name and the word Olympiad and perhaps, it was only a coincidence. It’s a fact that Alexander the Great had never met a more important woman in his life than his mother and he was never indifferent towards the Olympic Games. Though, Alexander of Macedon personally had never participated in the Olympic Games, despite the fact that he was always asked to participate in the Olympiad at least once (at least in the marathon). Even though running and physical workout had great importance for him, Alexander desired the workout of the mind to be as important for people as of a body and it is also a fact that his main advantage was his mind. If chess had been invented back then, Alexander of Macedon would probably hold Olympiads for chess players (with pleasure) and he, himself would certainly participate in the Chess Olympiad. According to the official version, chess had not yet been invented in the 4th century BC, but Alexander the Great was moving towards the homeland of chess, India, so suspiciously that there clearly is a basis for another version. However, there is no point in arguing and quarreling about this right now and it is also a fact that – what Alexander of Macedon wasn’t able to see in native Pella, the citizens of Georgia will soon have in their homeland and on September 23, the Chess Olympiad will start in Batumi. 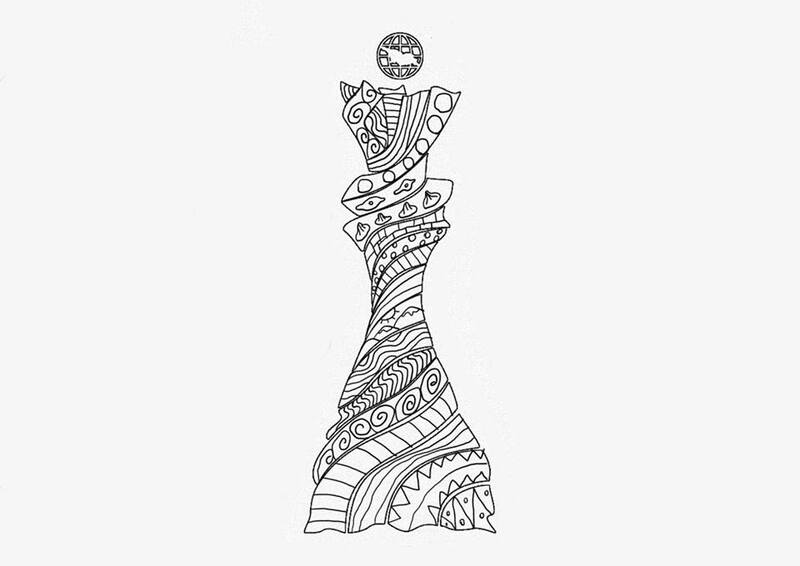 The decision that the 2018 World Chess Olympiad would be held in Georgia was officially made at the FIDE Congress held in Tromso, Norway in 2014 and who and how arranged this to happen I really don’t know (probably Tea Kipshidze), but it’s not important anymore and now the main thing is for everyone to use this gift so that we astonish the whole world. If I remember correctly, there are 195 countries in the world and, I think, that at least one representative of each country will visit us for the Olympiad and when else would we have such amazing chance to exhilarate the whole world with our country’s best hospitality. The official host of this Olympiad is, of course, the Georgian Chess Federation, but in reality, it is incumbent on each citizen of Georgia to host and welcome them, which is not so easy because of objective and subjective reasons. It’s true that several best hotels do already exist in Batumi, but any guest might have needs other than sleep and God forbid someone wants to use the bathroom outside of the hotel, in the street of Batumi or any other city. Of course, we can warn them in advance (do everything beforehand and then visit us), but admitting that in our country, where so many tourists come annually, there are still no bathrooms, in my opinion, is a little bit embarrassing. However, I hope these people won’t act as tourists and won’t eat and drink so much that they would require to use the bathroom often and everywhere, but we should still be cautious and at least keep reminding them that (in reality) they are visiting us with a whole different purpose. Yes, the main purpose of the person who participates in the Chess Olympiad is to play chess and we should keep hoping that the foreign chess players who will visit Batumi will have very little time to go for walks. Incidentally, before traveling to another country, foreigners often research the information about that country (in advance) and let’s say, some found out that we are (among other great things), for example, a country of khinkali. How can the guest find real khinkali in Batumi?! Not only in Batumi, but sometimes even in Tbilisi it is very hard to discover real khinkali, despite the fact that in Batumi, as well as Tbilisi and other Georgian cities, the word indicating this dish can be seen on numerous buildings and this is exactly the problem, that khinkali (in reality) is not simply a dish, but a heavenly pleasure, which was left to us not by Mongols but aliens. That is why in Batumi we obviously have to offer our chess player guests Adjarian Khachapuri (preferably with removed dough) and it would also be preferable if the guests won’t get the desire to taste churchkhela on the way from Tbilisi to Batumi, or see nazuki in Chumacheleti or near Surami. Whoever remembers my grandmother’s (who was born in Surami) nazuki, probably gets irritated just like me about the fact that in Georgia (country of nazukis), nazuki doesn’t resemble nazuki anymore and in the country of churchkhelas – churchkhela doesn’t resemble churchkhela anymore and it’s not surprising that aunt doesn’t resemble aunt anymore. Though, we have to show the best Georgia to our guests and the best Georgian wines we should offer to the delegates who, when the subject of Georgia was being decided in Norway, didn’t support the idea of the Olympiad being held in our country. Not unlike Ipolite Khvichia, I am more interested in those weak ones (those 53 delegates), who didn’t vote for us and I want them to be the ones who leave Georgia most satisfied and even more, so satisfied that they’ll be tormented by their guilty conscience for the rest of their lives, because of the mistake they made in Norway.